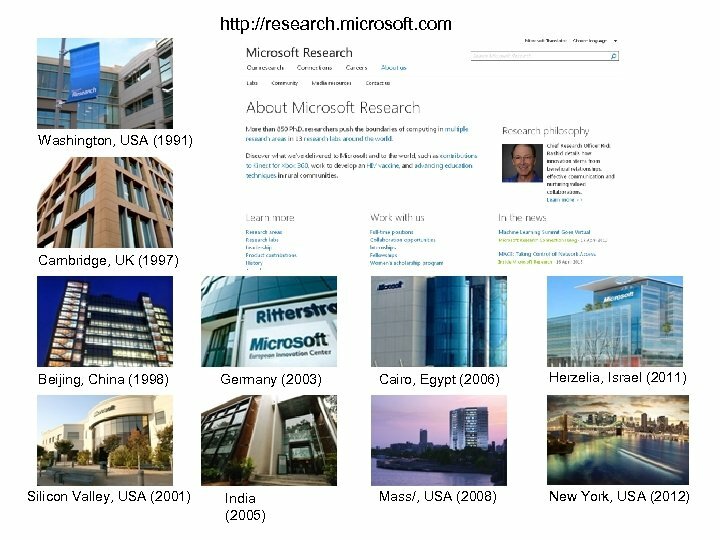 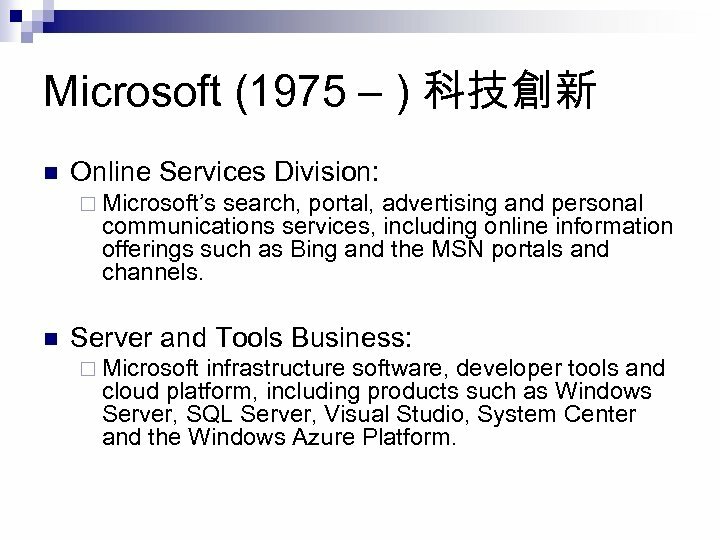 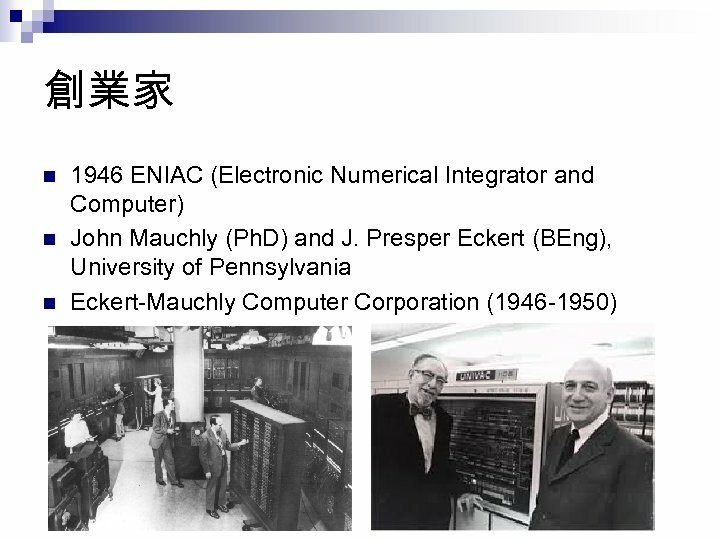 Microsoft (1975 – ) 科技創新 n Online Services Division: ¨ Microsoft’s search, portal, advertising and personal communications services, including online information offerings such as Bing and the MSN portals and channels. 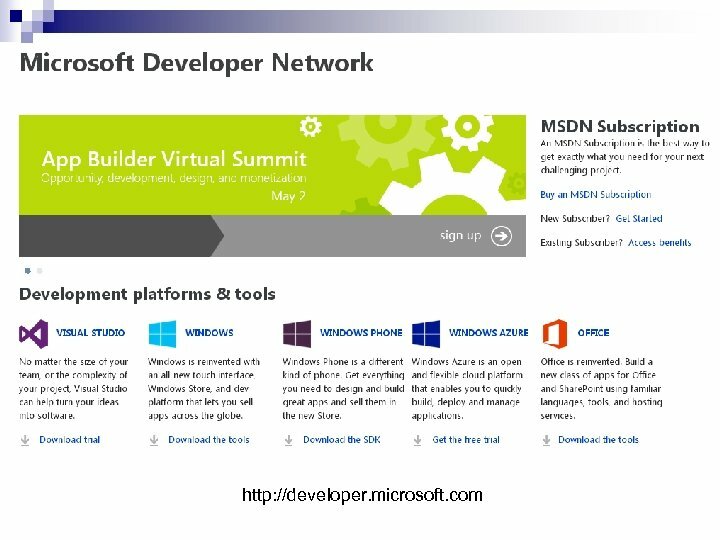 n Server and Tools Business: ¨ Microsoft infrastructure software, developer tools and cloud platform, including products such as Windows Server, SQL Server, Visual Studio, System Center and the Windows Azure Platform. 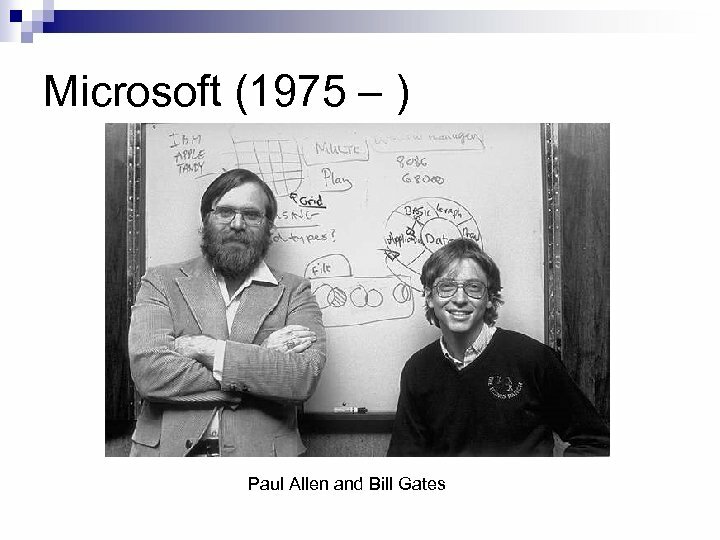 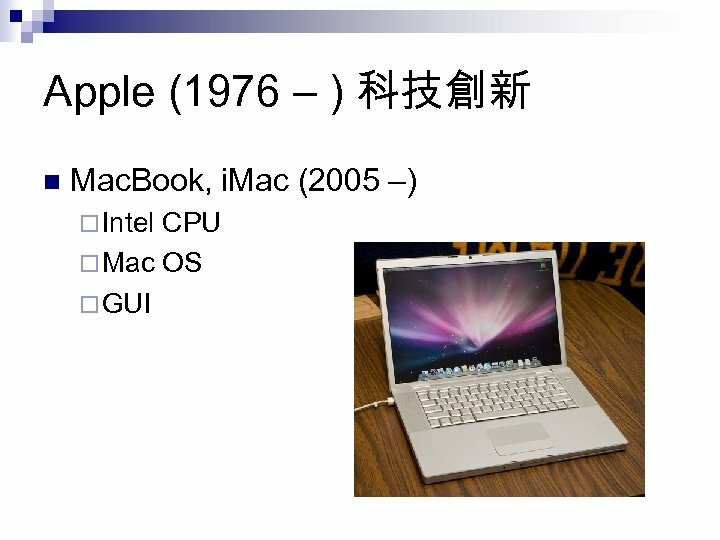 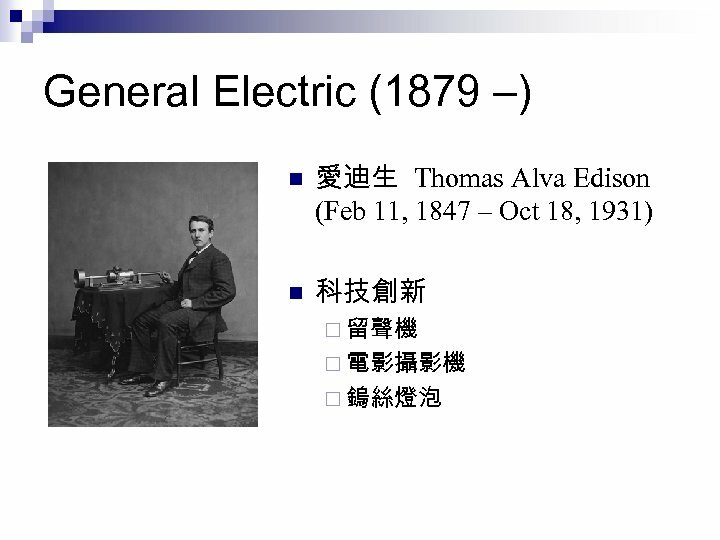 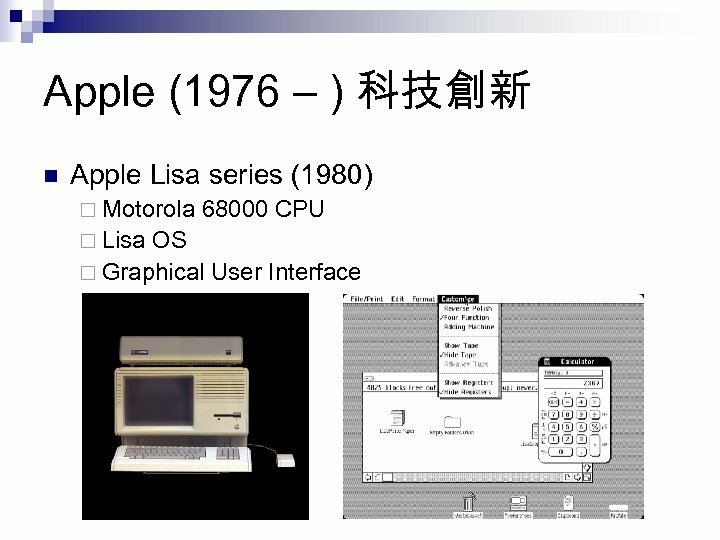 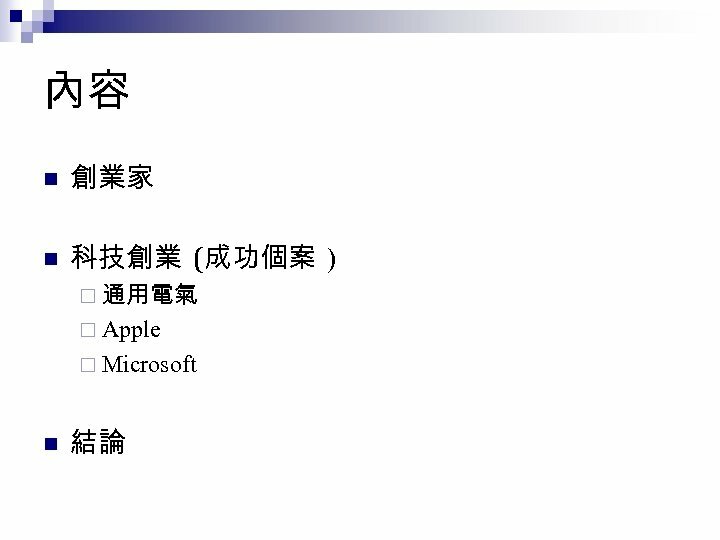 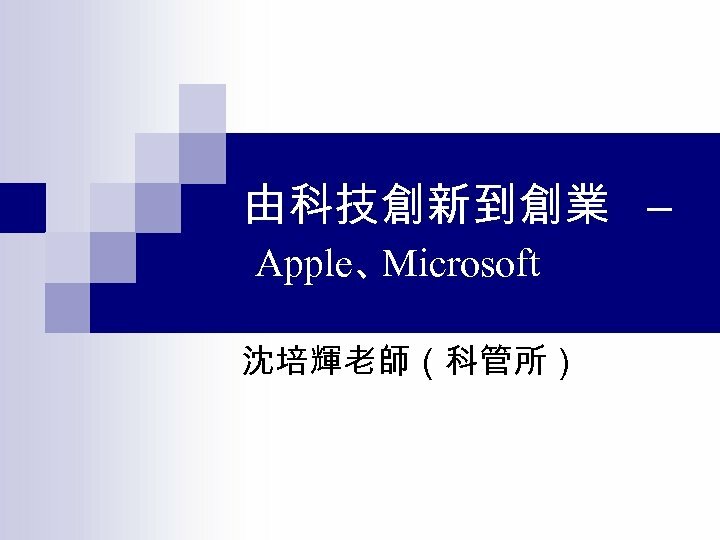 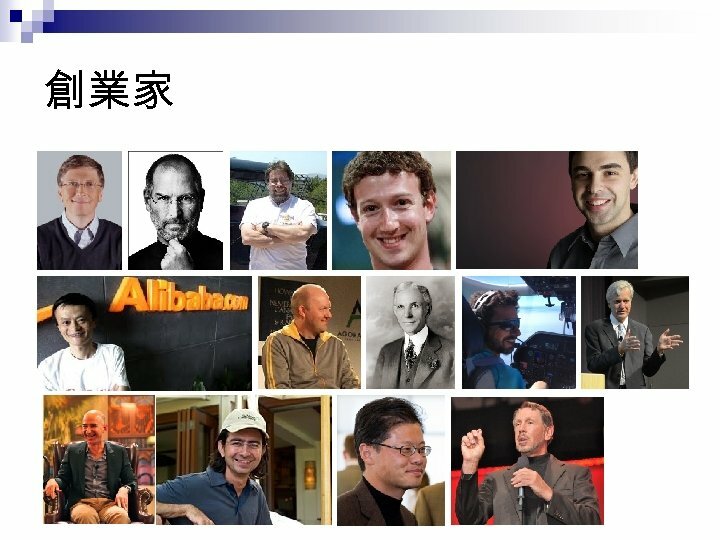 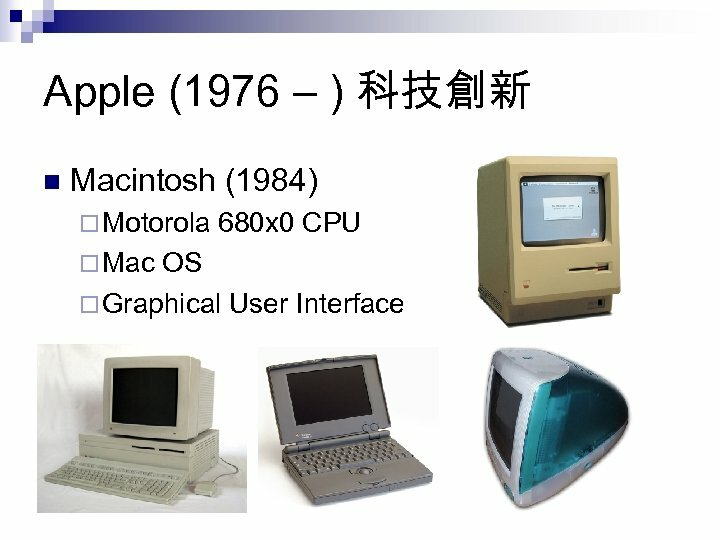 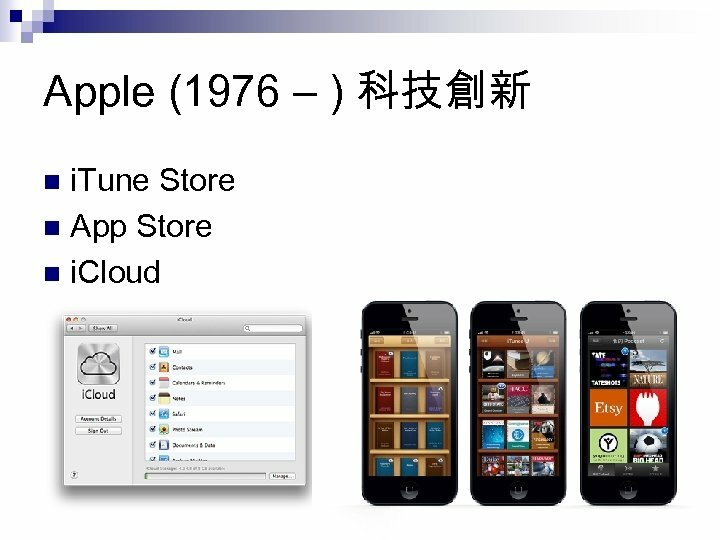 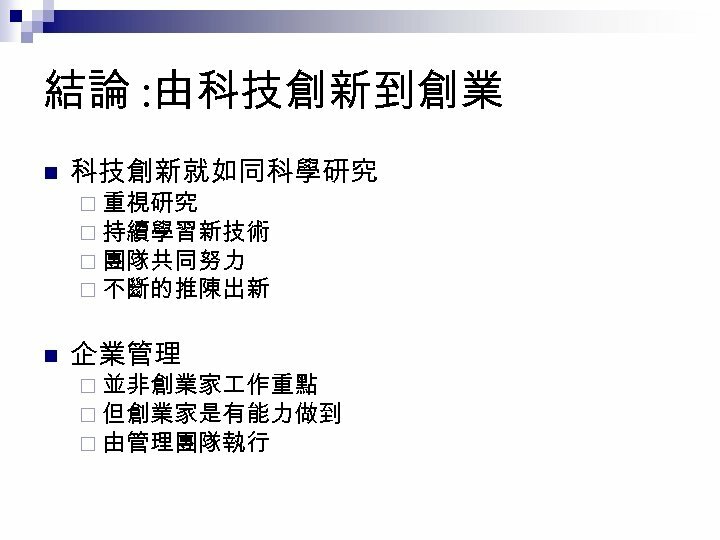 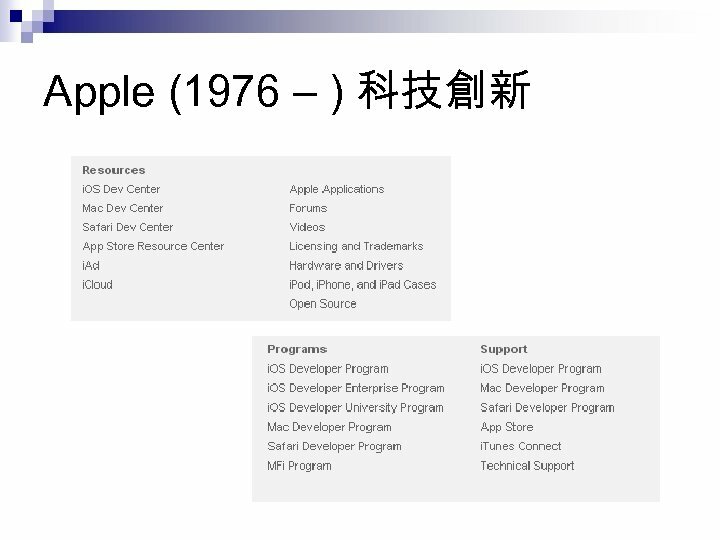 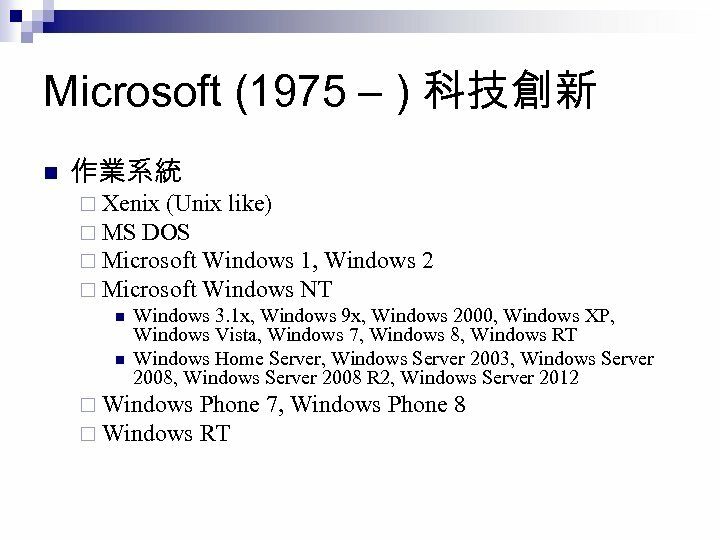 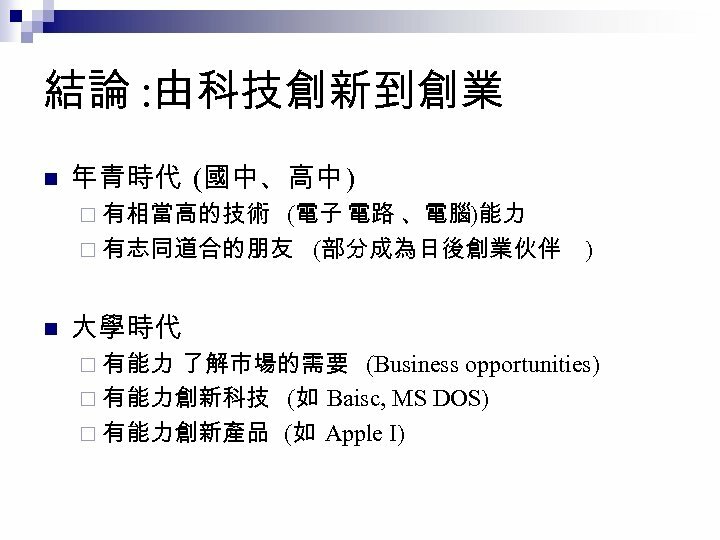 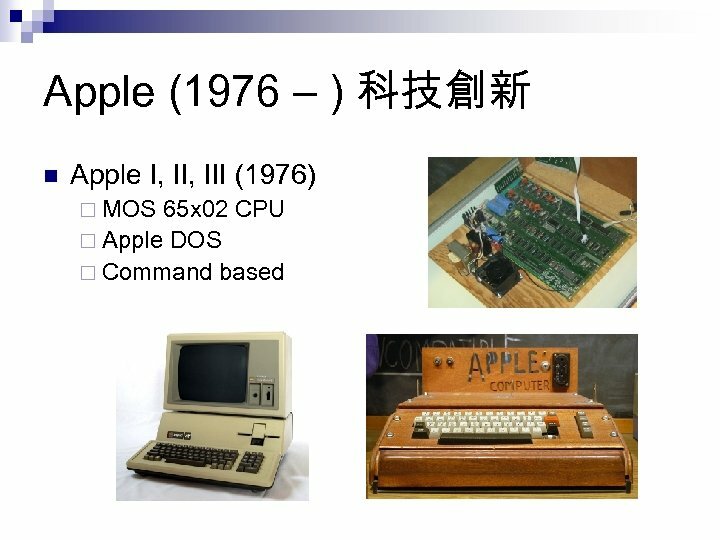 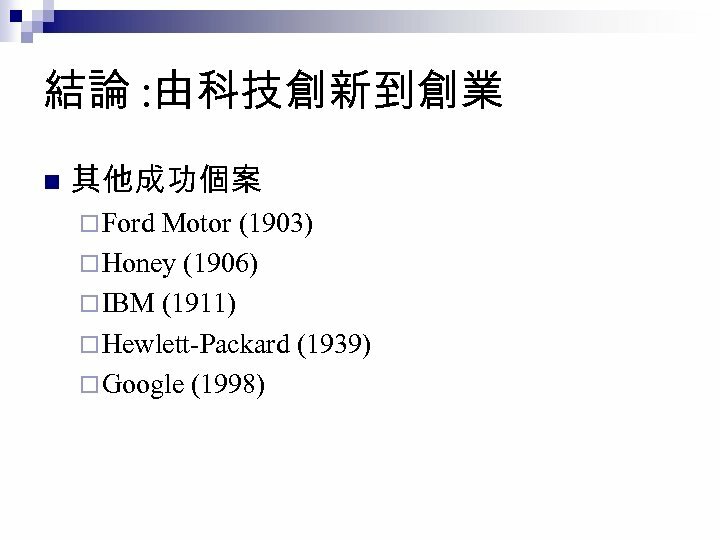 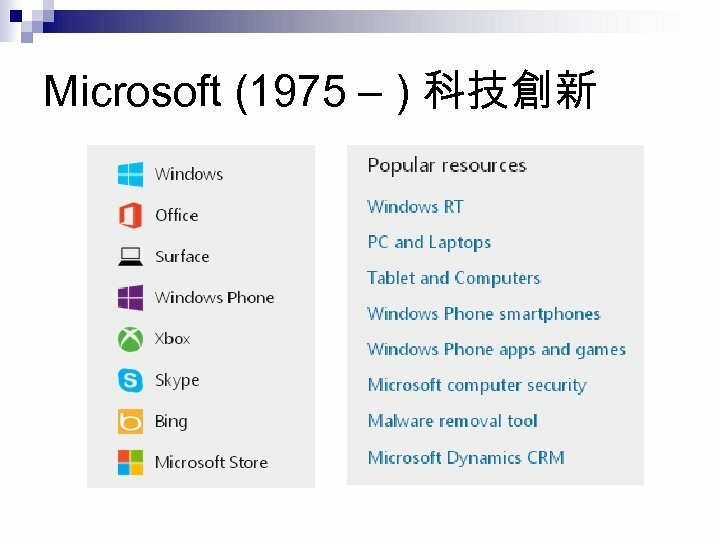 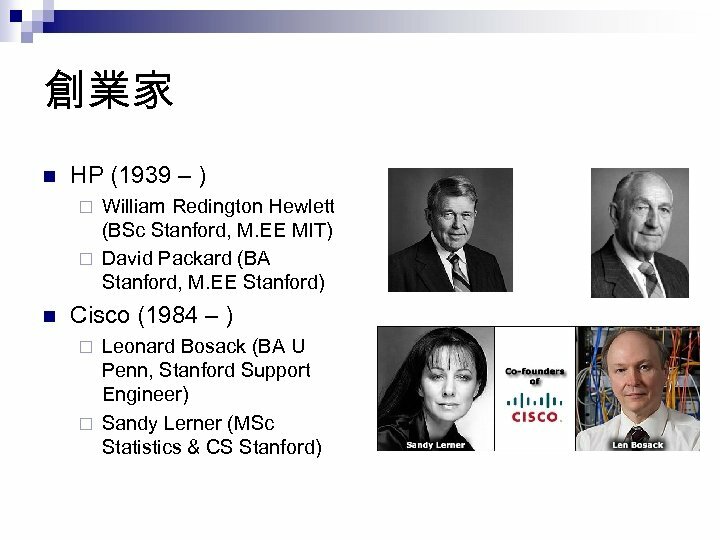 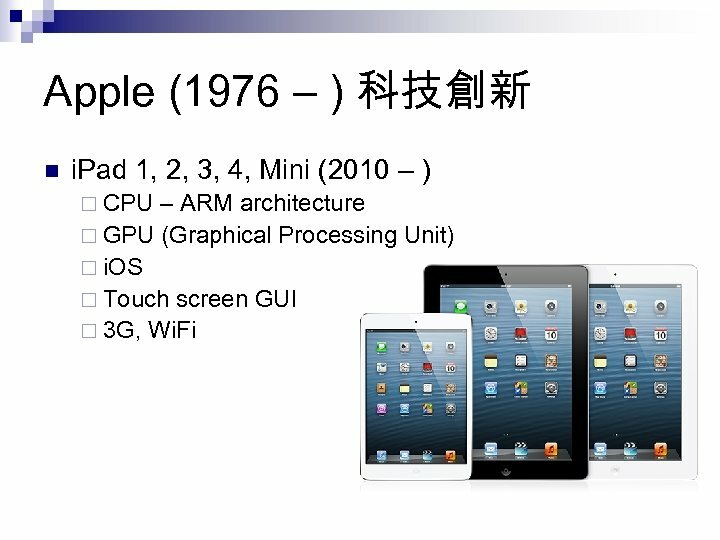 Microsoft (1975 – ) 科技創新 n Microsoft Business Solutions: ¨A portfolio of Microsoft Dynamics products and services, as well as Microsoft Health Solutions. 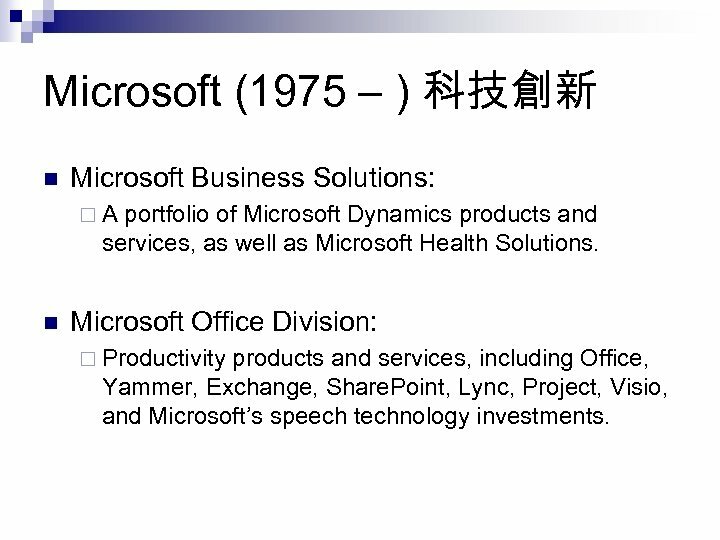 n Microsoft Office Division: ¨ Productivity products and services, including Office, Yammer, Exchange, Share. 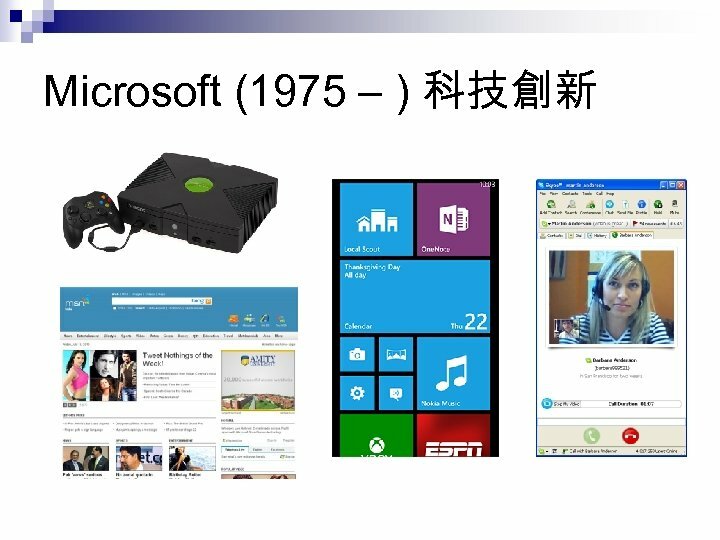 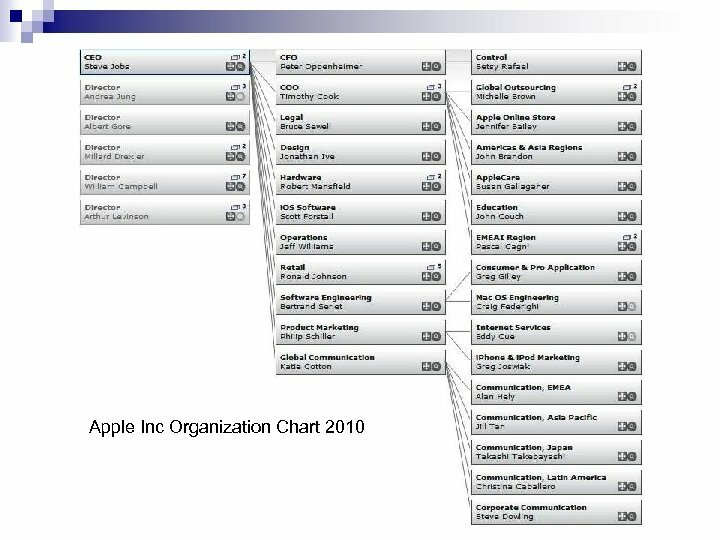 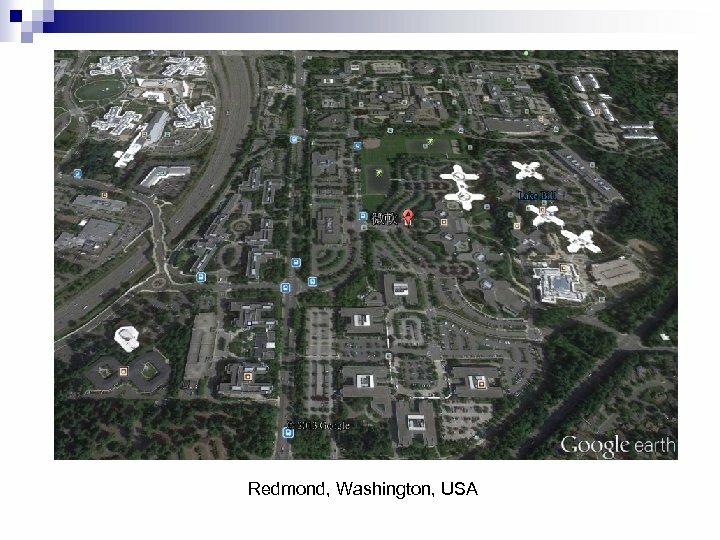 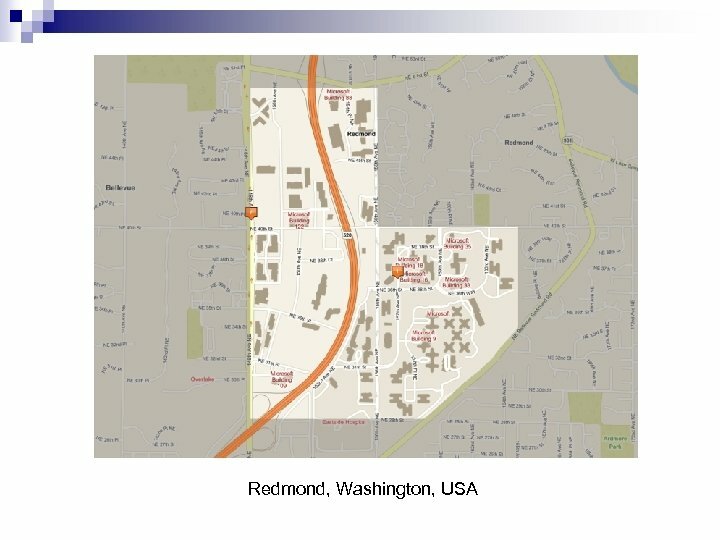 Point, Lync, Project, Visio, and Microsoft’s speech technology investments. 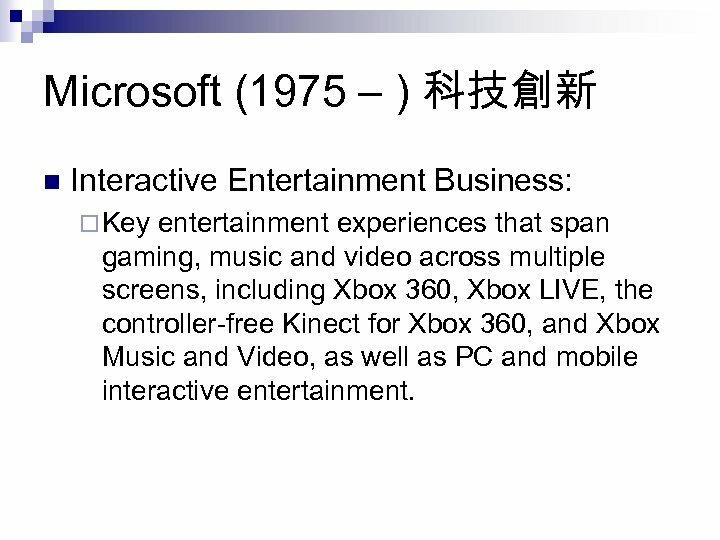 Microsoft (1975 – ) 科技創新 n Interactive Entertainment Business: ¨ Key entertainment experiences that span gaming, music and video across multiple screens, including Xbox 360, Xbox LIVE, the controller-free Kinect for Xbox 360, and Xbox Music and Video, as well as PC and mobile interactive entertainment. 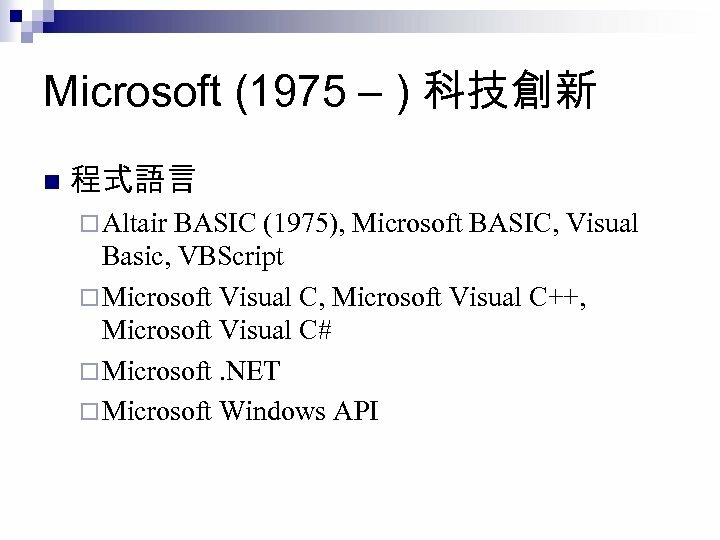 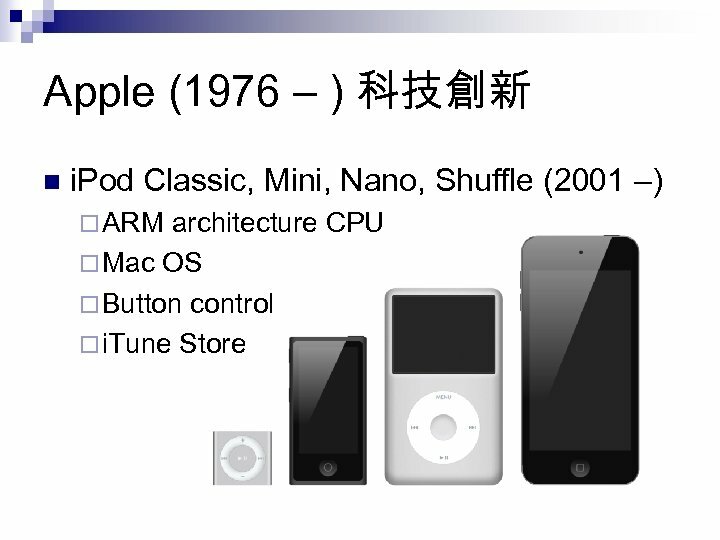 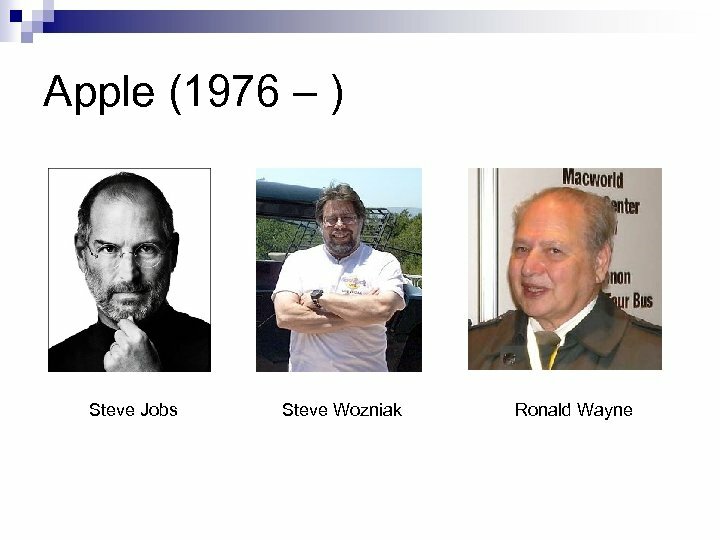 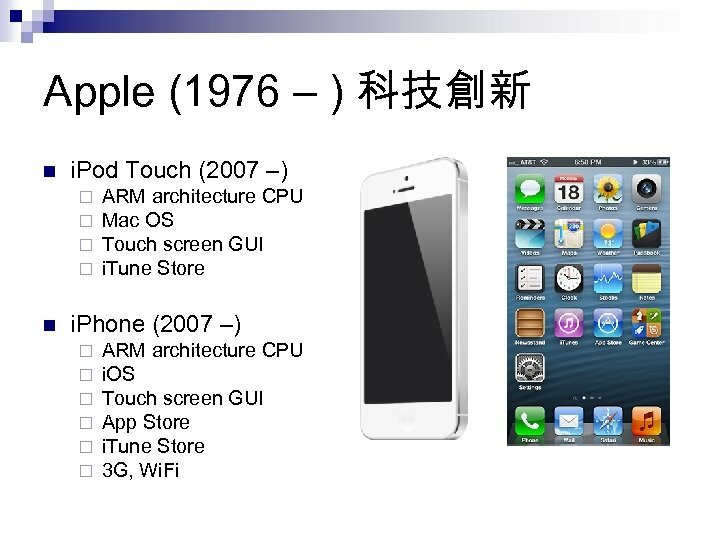 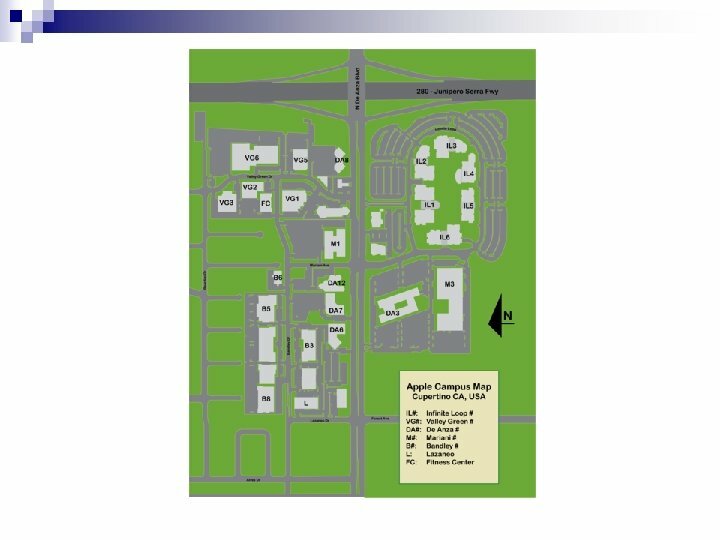 Microsoft (1975 – ) 科技創新 n Windows Phone Division: ¨ n Windows Division: ¨ n Microsoftware and services for Windows Phones worldwide. 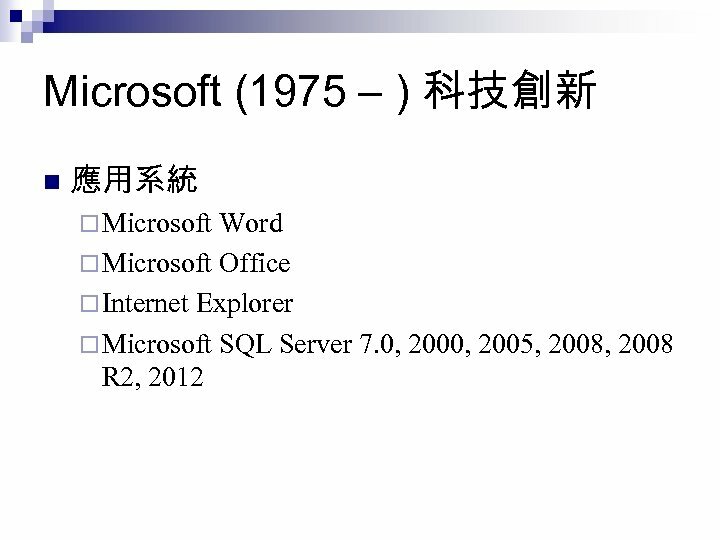 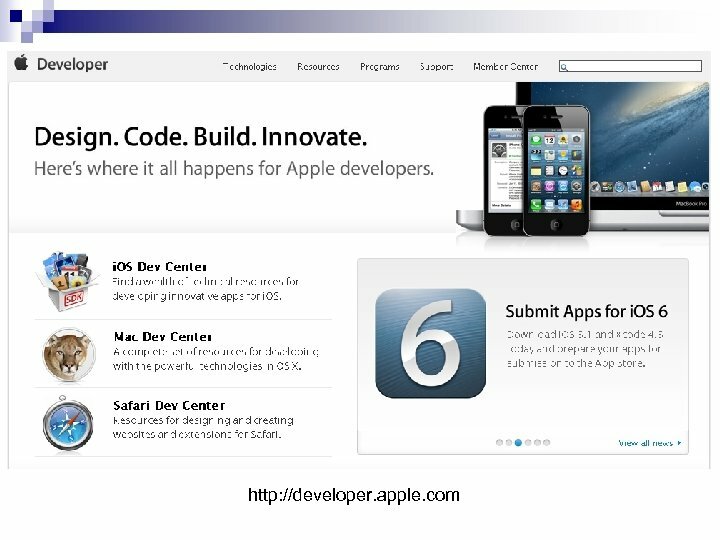 All Windows businesses, including Windows, Windows Live and Internet Explorer. 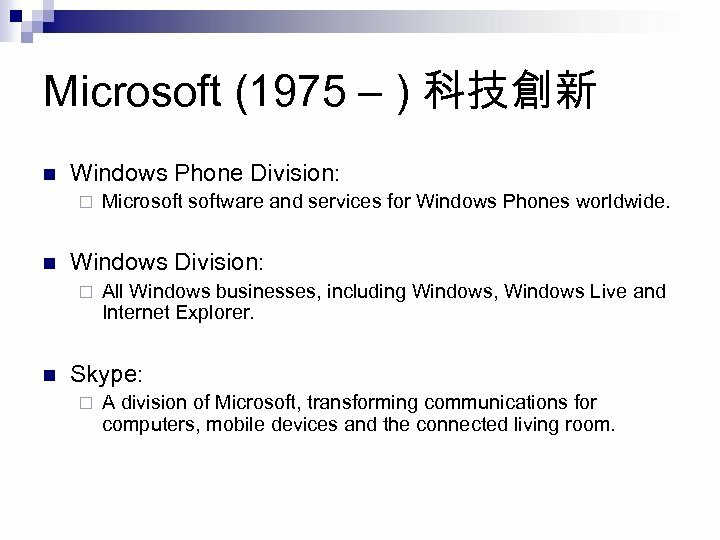 Skype: ¨ A division of Microsoft, transforming communications for computers, mobile devices and the connected living room.